Prior to university, I had very little exposure and knowledge of shisha bars. However, I now have the understanding that these dark and smoky rooms supply hookahs and have over time gained immense popularity amongst youths and young adults. Also known as a water pipe, hookahs use charcoal to create water filtered smoke for an individual to inhale through a mouthpiece. A very social practice, as the mouthpiece is then passed along within a large group. Not only is there a social appeal to hookah smoking, but the tobacco is available in a variety of flavours such as grape and chocolate, attracting the younger demographics. As my social network expanded, I became increasingly more aware of the significant role hookahs have had in a social environment. With over 40 shisha bars in Toronto, these bars have evolved into a social hub. One could easily overlook the high health risks posed by hookah smoking due to the large number of users and its transformation into a social norm. Once I entered university, images and videos of friends at shisha bars started to flood my social media feeds. By having an online presence, it has become evident that hookah smoking is not only socially accepted by their peers, but as well as socially praised. Similar to cigarettes, there is a ‘cool kid’ image associated with this hazardous habit, and as a result the misconception of hookahs being a ‘safer’ cigarette only further encourages individuals to partake in this harmful activity. As previously stated hookahs have slowly and mistakenly been identified as a ‘safer’ cigarette by many of its users. The number of false information circulating in the public clearly signifies that a barrier exists between those informed and those uninformed. As a university student, I have yet to encounter an informative poster or advertisement addressing the true facts of hookah smoking. Although I may not visit areas in which these posters can more commonly be found, such as bars, there are many like individuals who may fall into social peer pressures because they are simply not informed of the health risks. Educating the public is the first step that needs to take place, as many of the hard facts surrounding hookah smoking and shisha bars could stop youths and young adults. An informed individual can easily debunk the ‘safer’ cigarette myth, as they would know that hookah smoking exposes one to more smoke. To further explain, shisha sessions run for a longer period of time compared to a cigarette, and as a result one inhales a much larger amount of smoke. In addition, second hand hookah smoking races similar health concerns as firsthand hookah smoking. The shisha bars themselves have extremely poor air quality. Studies have provided evidence that indoor shisha bars expose customers to fine particulate matter, which is associated with respiratory and cardiovascular illnesses, beyond hazardous levels and even surpass the amount produced by forest fires. Countless numbers of research and studies have been conducted that evidently declare the rising health concerns associated with hookah smoking. Hookahs have slowly been identified as a threat to public health. Recently, the city of Toronto has enforced a ban on hookah smoking in shisha bars. Alongside this new law has sparked controversy, as some believe it is discriminatory against those who smoke as a cultural practice. 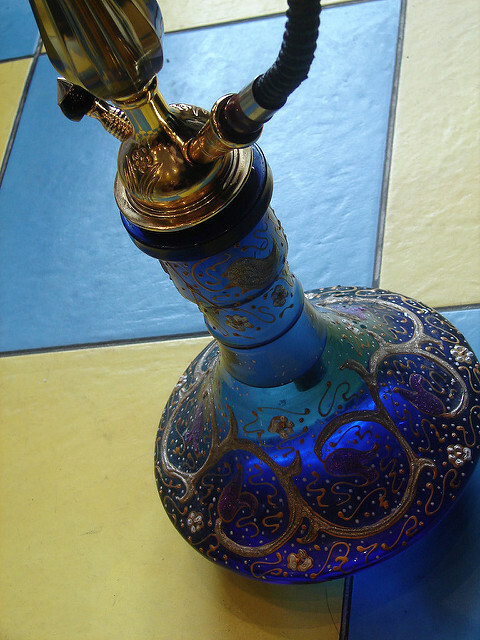 Middle Eastern and North African communities are only two of the many communities who culturally practice hookah smoking. It often serves as a social gathering event or a period of time in which an individual can relax. Although there is no way to truly settle this ongoing controversial debate, I do believe addressing and educating the public on the health effects is necessary. From that point on, educated individuals can make their own decisions as to whether or not they wish to risk their health to smoke shisha.